​Have you ever been stuck on the road or a parking lot with your vehicle refusing to start? This can be very frustrating and even open you up to robberies or attacks at night. Once your car stalls you need to diagnose the problem fast and rectify it or call for help. Often, the problem with the car is that it has a dead battery. In this case, you only need to jumpstart the car and be on your way. 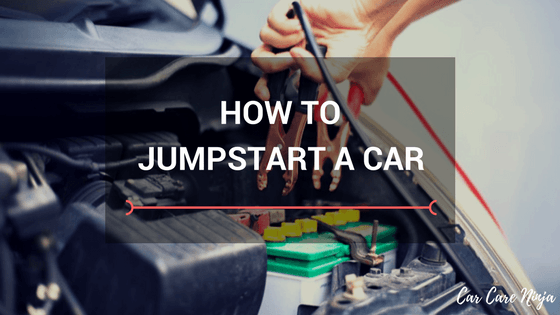 There are two ways of jumpstarting a car: by using gravity or jumper cables. Before you try out any of these, it is best to inspect your car to get to the root of the issue. ​Dead headlights or radio. If the headlights are dim, then the battery might be running low. If they do not turn on and the radio doesn’t come on, it means that your battery is dead. ​If there is no chime when you use the keys to open your door, your battery might be dead. ​Dead dome lights when you open the car. ​The engine does not come on despite the fact that you can hear the engine motor. ​Nothing happens when you turn the ignition key. ​Although each of these signs could be as a result of another problem in the car, a dead battery is likely the underlying cause. You should therefore try to jumpstart your vehicle at this point. ​You need to have jumper cables in the trunk of your car at all times. These come in handy when you want to jumpstart your car using another car. If you do not have jumper cables, you would have double the task: to find a good samaritan who is willing to help you jumpstart the car with his or her engine and to hope that they have jumper cables in their car. You must also ensure that the insulation on the jumper cables is in perfect condition. It should not have permanent creases and kinks and neither should the wires be exposed in any area. You also need to have safety gloves and goggles in your car. You might think that these items are unnecessarily filling up some storage in your car and leave them at home. This is a big mistake since you cannot predict when the car will stall. Consider is the reason why your battery is dead. You can check this by inspecting the battery. Does it have any leaks, cracks or spillage? If it does, do not attempt to jumpstart the vehicle. Instead, call your mechanic or AAA immediately. The battery will need some professional attention. Since safety is important, you will also need to inspect the terminals. Are they clean and free of dirt? If they are not, use the terminal brush you keep in the car to clean them. Identify the terminals on both batteries: positive and negative. Ensure that they are clean and that there is enough space for clamping. ​This is the first method to use when your car has stalled due to a dead battery. Get your protective goggles and gloves out of the car and wear them. Remember that jumper cables are like hazard signs. You should always have them in your vehicle in case of emergencies because they are important tools. Now that you have already checked that they are in good condition, the next step is to learn how to connect them in order to effectively jumpstart a car. 1) Untangle your jumper cables and ensure the red (positive) and black (negative) cables are free of each other. 2) ​Park the two cars close to each other but ensure that they are not touching. Letting the cars touch is dangerous as it could cause an electric arc once you start charging the batteries. 3) ​​​Switch off the ignition in both cars and place them in park for automatic transmission or neutral for standard transmission vehicles. 4) Open up the hoods of both cars, that is, the good car and the one with a battery problem. 5) Check to see that all the terminals are in good condition and are clean. If they are not clean, use the terminal brush to clean them before starting the process. If they are damaged, you might need to call your mechanic because jumpstarting the car could be dangerous. 6) Confirm that your red cable has a positive sign (+). 7) Connect the clamp on the red cable to the positive terminal on the good car’s battery. 8) Follow it up by connecting the other clamp at the end of the red cable to the positive terminal on the dead battery. 9) Take the black cable and clamp one end to the good battery’s negative terminal. 10) Clamp the other end of the black jumper cable onto an unpainted metal surface on the dead car to ground the charge. ​You need to be sure that the jumper cables free of any moving parts. You do not want to cause an accident or have moving cables during this delicate process. The other thing that you need to ensure is that the clamps on both cables do not touch. This could create some dangerous sparks. Also make sure that the clamps are tightly in place before you start any of the engines. ​11) Now turn on the ignition of the good car and rev it a little for about three minutes. 12) After about five or so minutes, try starting the dead car’s engine. 13) If it starts, let it keep running and charging for about ten minutes. 14) Remove the cables in reverse order. First, unclamp the black cable that is on the metal surface grounding the charge. Proceed to unclamp the other end of the black cable from the good battery’s negative terminal. Unclamp the red cable from the dead battery’s positive terminal and then follow by unclamping the other end of the cable from the good battery’s positive terminal. ​Through this whole process, do not let any of the clamps touch. As you unclamp the cables, you will also need to ensure that the clamps do not touch any metal surface on the hood of the vehicles as it could also lead to shorting damaging the batteries. ​Red or +ve means positive while black or –ve means negative. ​You should never attach anything to the negative terminal of the dead battery. ​Your cables should never crisscross each other as you jumpstart the vehicle. ​Electric and alternate fuel vehicles should not be jumpstarted in this way. Instead, rope in a professional to handle the nitty-gritty’s of the matter. If this does not start the car, depress the clutch again and release it. ​This should start the car if the problem is a dead battery. If it does not, you will need to call your mechanic to come handle the problem. You can also repeat a similar process if you are not on a hill or steep slope. However, you would need some friends to push your car for momentum as you depress and release the clutch to try starting the vehicle. ​With these steps, you will be able to get your car up and running if the battery is dead. You can also come in handy if you find a stranger stalled on the road with that worried look that lets you know they do not have an inkling about how to jumpstart their car.